Nollywood actress Chioma Chukwuka-Akpotha yesterday tweeted that she was harassed by some policemen in Enugu where she’s currently on a set. Christabel Egbenya is one of the new actresses who think Nigerian men are not good lovers! Kenya’s Most Bootilicious Diva Miss Corazon Shows Off Twin Sister! Hip-hop’s royal couple, Beyonce and Jay Z, made tabloids headlines this week over more divorce and cheating rumors. Winner of Big Brother Africa “The Chase”, Dillish Matthews is in Nigeria and she seems to be having a swell time. 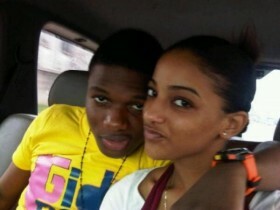 Wizkid please pull over as Your Former Girlfriend Finds New Love and really want you to see it, but the Question is Y’ll don’t know what these kids do.